Red-tailed Hawk in a Tulip Tree. Two indigenous species, a red-tailed hawk and a tulip tree, gorgeously paired. Photo by Laura Meyers. A beautiful start to the week from the “Birds Eyes and Butterflies” blog. This photo was taken in Prospect Park. 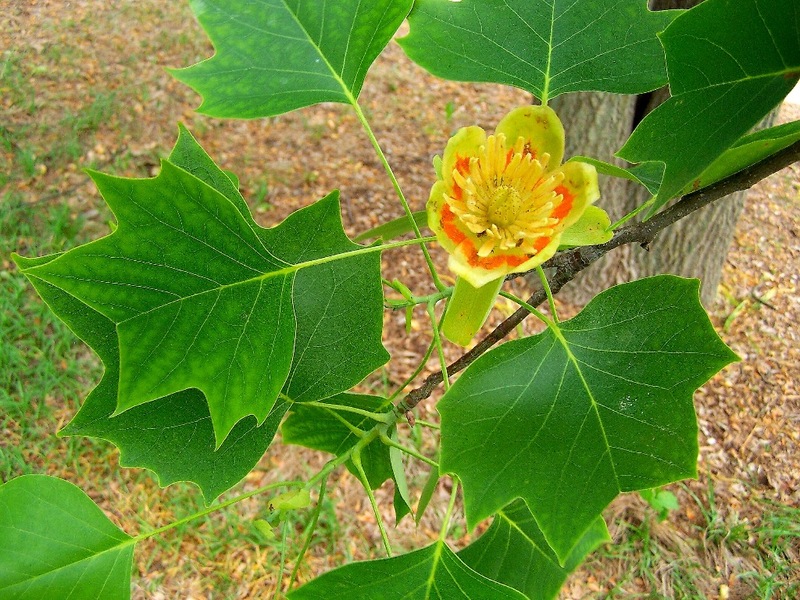 I’ll add more about tulip trees to this post soon, but wanted to rush out the image for the pure pleasure of it. Please click on it to see more from Laura! Happy Solstice! Summer is here, and life is booming. Make sure you head down to Jamaica Bay to see cacti, horseshoe crabs, and diamondback terrapin turtles! Or get lost in a world of wildflowers and butterflies in Pelham Bay Park. As for the loveliness above…never again will you speak ill of Staten Island without feeling a bit foolish. A few special events on Saturday are worthy of your attention and support. Sustainable South Bronx and the Bronx River Alliance are having outdoor benefits to support their revitalization of their shared community. The Gowanus Dredgers invite you to celebrate, care for, and canoe the canal. Staten Islanders are reasserting the second half of their borough’s name with a booming paddle culture. Kayak Staten Island opens its season of free paddling Saturday at noon (continuing until 5PM) as part of “Back to the Beach” day. Just head to Midland Beach (Zone 5), all the way at the end (south-west terminus) of Father Capodanno Boulevard. And of course, there’s the Clearwater Festival! To maximize your Clearwater fun, join with Time’s Up! for a rail and ride combo trip to the festival. And below, as always, a listing of FREE events to get families, couples, singles, and bands of buddies outdoors in the big city! 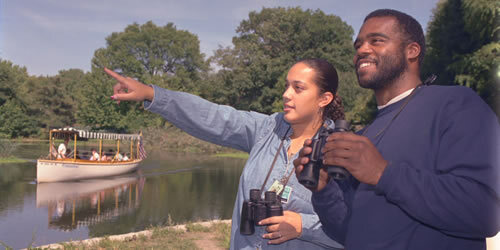 Learn the basics of birding (Lesson One: Get up early) with the Urban Park Rangers in one of our lesser-known jewels, the Salt Marsh Nature Center in Marine Park (East 33rd Street and Ave. U). Call 718-421-2021 for more information. Join Naturalist “Wildman” Steve Brill in an exploration of the wild food and ecology of Flushing Meadows Corona Park. The Ecology Program lasts approximately 90 minutes, to be followed by Brunch at the Museum and a Queens Museum of Art Highlights tour. Hundreds of herbs, greens and berries grace our parks in early summer, and the sunny meadows and byways of Flushing Meadows Corona Park overflow with wild plants in season. This free event, which includes a “Wildman” indoor presentation and tour, is part of a Queens Museum of Arts’ senior citizen event. Some of the late spring herbs and greens we’ll be looking for include tasty violets, corn-flavored chickweed, mild, chewy common mallow; sow thistle, which tastes like lettuce; Asiatic dayflower, which tastes like string beans; and burdock, with a potato-artichoke flavored taproot, and artichoke-flavored flower stalk. Early summer berries, such as mulberries and juneberries, may also be dropping fruit, ripe for the picking! Register yourself or your loved one at the Benjamin Rosenthal Senior Center (45-25 Kissena Boulevard in Flushing, NY) by calling 718-886-5777. Meet at the center. Sebago Canoe Club offers public paddling on Saturday morning and Wednesday evening. The program is free, but you’ll need to pay a $10 insurance fee that is not kept by the club. While you’re there, be sure to check out there great new garden and native plantings! For more information about the Open Paddle program, which has limited seating, please visit their webpage. The Urban Park Rangers are merciful: this Staten Island birding venture at Blue Heron Park Preserve starts an hour later. They will teach the basics of birding and take you on the trail to test your new skills. Hikes focus on different species of birds, so repeat trips are rewarded. If you’re not sufficiently motivated to haul out of bed in the morning, bear in mind that the gorgeous photo at top is of Blue Heron Park Preserve. You might consider volunteering to keep it thriving. Come to Blue Heron Park (222 Poillon Avenue between Amboy Road and Hylan Boulevard) to get in on the action. Call 718-967-3542 for more information. Learn how to build raised planting beds (siting, construction, and filling) so that you can have a more bountiful garden. At the same time, you’ll get to know the dynamic staff of the sponsors, New York Restoration Project and Just Foods, and the volunteers of your host, Madison Street Association Community Garden. Go to 974 Madison Street (J or Z to Broad Street station). Volunteer to care for Brooklyn’s last forest. Yeah, stunning and sad to think it’s come to that, but the borough’s last forest is in Prospect Park. But you can help it thrive, make friends, and have fun along the way! The Weekend Woodlanders are quiet heroes and you can be one too. Meet at the Picnic House. Call 718-965-8960 for more information. The Long Island City Community Boathouse is paddling from Anable Cove up to the South Bronx and down again to Hallets Cove in Astoria. See the group’s website (www.licboathouse.org) for more information. Stroll into the Summer Solstice on Staten Island. Learn about plants, animals, and natural history at beautiful and historic Conference House Park. We will hold two nature walks: one from 10 a.m. through 12 p.m., and the second from 3 p.m. to 5 p.m.
For more information and directions, please visit this page. To RSVP for this rain-or-shine event, or for any questions, please call Cheri Brunault at 718-390-8021, or email at cheri.brunault@parks.nyc.gov. Try out kayaking with 20-minute introductory paddles (running between 10AM and 5PM) on the Hudson River south of 72nd Street or at Pier 40, where West Houston Street hits the water, both Saturday and Sunday. Please dress for getting wet and know how to swim. Call the Downtown Boathouse for weather updates at 646-613-0740 and further information at 212-408-0219. Canoe the Lullwater (How peaceful can a water body sound? Oh right, there’s the “Pacific Ocean.” Never mind) in Prospect Park. Sign-up at the Audubon Center begins at 1030AM to hit the water at 11AM, 1230PM, or 2PM. First-come, first-served. Celebrate the sun, enrich the Earth. That’s the Queens Botanical Garden way! Learn about decomposers, recycling, and the composting process. 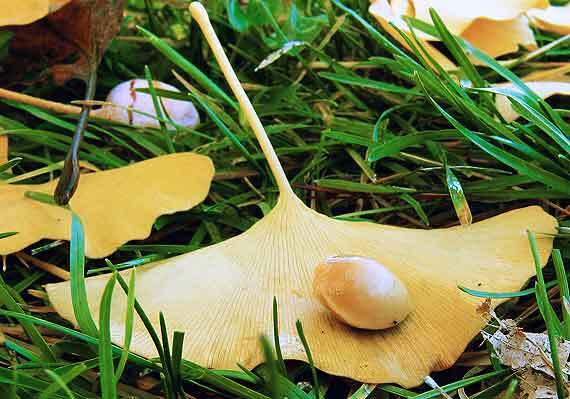 Kids are welcome, and can even make a compostable and recyclable summer craft! The garden is an easy ride on the 7 train to Main Street, Flushing. Stroll down to 43-50 Main Street. Registration is encouraged. To register, call 718-539-5296 or email compost@queensbotanical.org. Don’t you love it when the government asks that you bring your kids to the woods with the instruction “Please bring two clear 2-liter bottles,” with no explanation? Well, in this case the woods are lovely Van Cortlandt Park, and this website provides a rather innocent and fun explanation for the whole venture. Enter the park at West 246th Street and Broadway. For more information about this educational event, call 718-548-0912. No reservations required. And if you fall in love with this green space with quiet fresh water fishing, nature walks, and active recreation, consider volunteering to better it for the next generation, and even next summer! The Central Park Conservancy Garden is a 70-year old treasure. Each Saturday from April 5 through October 25, a garden staff person will stroll with you as he or she explains its history, plantings, and design. Meet at the Vanderbilt Gate, where Fifth Avenue meets 105th Street. Come join Rocking the Boat for public rowing of its gorgeous, hand-crafted Whitehall boats on the thriving Bronx River! Meet at the Congressman Jose E. Serrano Riverside Campus for Arts and the Environment in Hunts Point. For directions, click here. Come down to the DUMBO Summer Celebration for Kids and teach your youngster to ride, thanks to Bike New York and Recycle-a-Bicycle. The class is free, but you must register. For details, please visit the Bike New York website. Paddle and care for one of New York City’s future Bruges, but greener. Hey, ambition never hurt! The Gowanus Dredgers Canoe Club welcomes you to their 2nd Street launch for a day of estuary discovery and stewardship. Visit the group’s website for more details. Discover some of the city’s most beautiful wildflowers, some of them rare. Go to the Inwood Hill Park Nature Center. Enter park at West 218th Street and Indian Road. Call 212-304-2365 for more information. “Because Prospect Park includes so many varied habitats, it’s loaded with shoots and greens in early summer, and many of these are edible and medicinal. And the berries, wild and cultivated, are spectacular. We’ll begin a lush juneberry bush, growing near the park’s Grand Army Plaza entrance. One the the tastiest fruits in the world, it’s astounding that these berries, which taste like a combination of blueberries, apples, and almonds, have never been cultivated. Nearby, we’ll find corn-flavored chickweed, in season all year. Then we’ll proceed southeast to a vast stand of celery-flavored goutweed, stopping for lamb’s-quarters leaves at the edge of the path. Further on we’ll find vast stands of burdock, a despised “weed” with a delicious edible and medicinal root. Near the picnic house, we’ll harvest sweet, flavorful mulberries in quantity by shaking the branches over a dropcloth. Related to figs, you can use these berries in any fruit recipe. Afterward we’ll look at the nearby domestic plum tree to see if it’s bearing it’s luscious fruit this year. Then we’ll check out the top of a ridge to hunt for spicy poor man’s pepper, hedge mustard and field pennycress, all members of the mustard family. Steve asks for a donation of $15, but no one is turned away by this generous and wild soul. Call 914-835-2153 right away to reserve a spot. “Amble through the Ramble” of Central Park and trade in glare and grit for 38-acres of streams and woods, the street grid for a maze of pathways. Meet at Belvedere Castle (enter at 79th Street on either side and walk to the park’s longitudinal center) and wear comfortable shoes. Nature is a few steps and eye openers away with Prospect Park’s Discover Tours (seen at the top of the page) on Saturdays and Sundays. In June the focus is on the plants and animals that thrive in the parks’ waterways – streams, waterfalls, and Brooklyn’s only lake. Meet at the Audubon Center. Yin and Yang, fire and water. Balance yourself (well, uh, literally, since you’ll be in a kayak) by participating in the LIC Community Boathouse’s paddling portion of the Socrates Sculpture Park Summer Solstice Celebration! (Now say that five times fast…) See the group’s website (www.licboathouse.org) for more information. Join Peter Tagatac, an Amateur Astronomers Association member, as he explores the heavens. Visit neighbors like Saturn and its moons, or our own moon – look for the mountainous fringe to stand in stark relief to the blackness of space. You can usually find him at the northern end of the Great Lawn, hence his blog, Top of the Lawn. Walk beautiful Inwood Hill Park with Mike Feller, Chief Naturalist for the New York City Department of Parks and Recreation. Learn about your local flora and fauna, and how you can help restore and protect their habitats. Dress for a hike from hats to shoes, and feel free to bring a field guide and notepad if you like. Enter the park at 218 Street and Indian Road. Meet on the little bridge on the eastern end of the salt marsh. You, your dog, Urban Park Rangers, and the woods of Forest Park. What could be better? Even if you don’t have a dog, come along and play. Come to the K-9 Korral Dog Run (Park Lane South & 85 Street) and join the pack! March to the marsh! 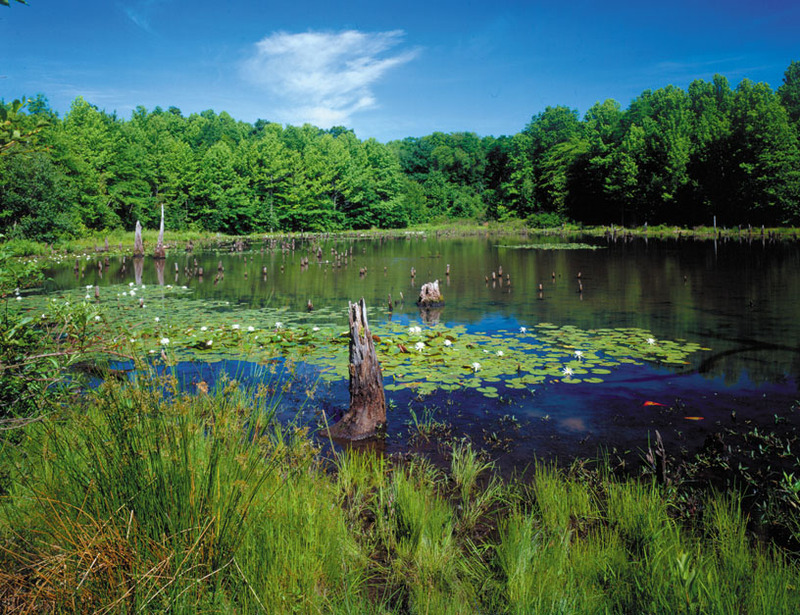 Get to know the plants and wildlife of a fragile-yet-vital ecosystem, right near home! You’ll learn about how the Marine Park refuge can be protected, and why that’s important to our species as well as the diversity of life on site. Meet at the Salt Marsh Nature Center in Maine Park (East 33rd Street and Avenue U). For directions and more information, call 718-421-2021. They’re stunningly ancient (the dinosaurs came and went in a wink for this species), they have coppery blue blood, they save human lives, and they’re gentle. Go love the horseshoe crabs at Orchard Beach! Meet at the Orchard Beach Nature Center. Call 718-885-3466 for information. Also, it’s worth the effort to learn how you can protect this species. Yahoos are devastating local populations by using them for bait, which threatens not only this important neighbor, but also the migrating birds who feed on their eggs. Try out kayaking with 20-minute introductory paddles (running between 10AM and 5PM) on the Hudson River south of 72nd Street and on Pier 40 (west end of Houston Street). Please dress for getting wet and know how to swim. Call the Downtown Boathouse for weather updates at 646-613-0740 and further information at 212-408-0219. Learn the basics of canoeing with the Urban Park Rangers in Willowbrook Park. Meet at the comfort station off of Elton Place, where Victory Boulevard meets Forest Road, east of Rockland Avenue. “Come, let’s explore the ravine…” It sounds like scene-setting dialogue from a cheesy horror tale, but in this case you’ll be rewarded with “a guided tour of old-growth woodlands, streams, rustic shelters, and local wildlife” in Prospect Park. Meet at the Audubon Center. Stroll with the Central Park Conservancy for a cross-park promenade and rediscover a place both familiar and novel. Do you know where to find a hidden bench that tells time? Or a sculpture that celebrates fresh water? Well, neither do I, and I’m a native. Get in the know by meeting inside the park at Fifth Ave. and East 72nd Street, in front of the Samuel Morse statue. Have the famed heather gardens, and more, of Fort Tryon revealed to you by expert horticulturalists. The panoramic views of the Hudson River and Palisades are marvelous. There’s a nifty preview video here. Go to the Heather Garden entrance at Margaret Corbin Circle in Fort Tryon Park, where Cabrini Boulevard and Fort Washington Avenue meet. Try out kayaking with 20-minute introductory paddles (running between 1PM and 5PM) arranged by the LIC Community Boathouse on the East River where Vernon Boulevard meets 31st Avenue in Astoria. You’ll see Socrates Sculpture Park’s beach at Hallets Cove and a wooden staircase on a wall. Please dress for getting wet and know how to swim. Explore the resurgent natural areas of Highland Park and the Ridgewood Reservoir through this walking tour. Voice your concern about plans to raze forested areas for artificial turf ball fields. Once you learn of the beauty of this place, turn that passion into action by linking with local preservationists and naturalists. Meet at the Lower Highland Playground (Jamaica Avenue and Elton Street) and wear comfortable shoes. Bring water, sunblock, and snacks too. For directions and advocacy information, please visit this website. Learn how to infuse your sweets with garden-grown herbs. Grow them yourself (gear up at the on-site garden store), and bonus points for indigenous species! The good folks at Wave Hill have linked with a talented chef from Great Performances to blend green with sweet. Head up to 675 West 252nd Street, and call 718-549-3200 for more information. Oh, the burden of choice! With a hyper-fun suite of Adventures NYC events sponsored by Backpacker Magazine adding to our usually full menu of eco-recreation, you may find your head spinning a bit! As always, FREE is the rule and we have a mix of family-friendly events and adult socials. A few highlights include: a bat walk in Forest Park, kayaking in Central Park lake, wildflower appreciation in Pelham Bay Park, surfing in the Rockaways, fishing in Wagner Park, kayaking for mulberry picking with the LIC Community Boathouse, Brooklyn Critical Mass Bike Ride, and the Oyster hoopla in the invitation image above. WildWire will soon be even more beefed up as we gather better data on New York State and National Parks in the area. We’ll also set up a special button so that you can instantly access each week’s listings on Nature Calendar. We also intend to arrange special environmental service outings this summer, in cooperation with partners from the Nature Network (see out sidebar). Please join us as we do bioblitzes, seek spotted salamanders, photograph and video flying squirrels, and plant trees. 1) Alert us to your events, especially when you need volunteers. 2) Link to us (we will soon have a links page as well). 3) Tell others to visit our page daily. Celebrate and liberate Brooklyn bicycling by participating in the borough’s peaceful and fun Critical Mass ride! Meet at Grand Army Plaza or the Brooklyn side of the Williamsburg Bridge. Red rear and white front lights make the ride to the event and home again safer. Besides, it’s pretty to see all of those blinking lights! Riding through Prospect Park at night is especially beautiful, communing with the sights and sounds that make a space “green” even when the color itself is submerged in the night’s darkness. Stick with the crowd and you’ll usually find fun gatherings follow the event, often with the joyous Time’s Up crowd. Saturn beckons you! Come enjoy this and other sights (even if we can’t enjoy them as sites yet) with telescope-equipped Art Kunhardt and Steven Lieber, friendly stargazers with the Amateur Astronomers Association of New York City. Visit the AAA’s Floyd Bennett Field webpage for more directions and details. 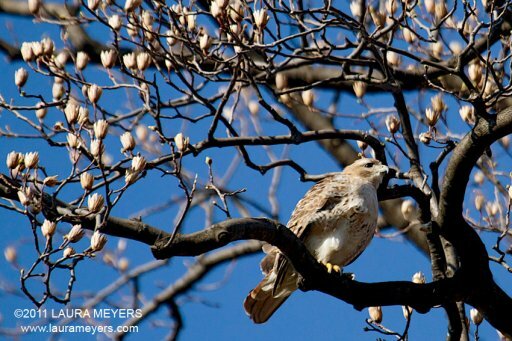 Hike in search of the Inwood red-tailed hawks and other raptors. Come to the Inwood Hill Nature Center, Inwood Hill Park. Enter park at West 218th Street and Indian Road. Call 212-304-2365 for more information. Our great green friends at New York Restoration Project will help you learn how to attract butterflies to your garden. As powerful pollinators they will making your garden more robust while you rack up great karma points for preserving beautiful signature species of summer. Go to the Jane Bailey Memorial Garden in Greenpoint, Brooklyn (342 Green Street, near Provost). Long Island City Community Boathouse. See the group’s website (www.licboathouse.org) for more information. Factory. Eat inside, or be responsible with garbage in the beautiful park. up to the west side of Randalls Island, where mulberries should be ripe. return trip will take us through sunset and potentially into nightfall. Do you want your kid to get healthy biking exercise and to one day explore this town on pedal-powered wheels? Great idea! But first help him or her become a safer urban bicyclist by taking Bike New York’s intensive, two-hour class, which is offered in partnership with the Brooklyn Public Library. This week’s class is to be held at the Flatbush Branch from 1PM-3PM. Click here for more information. Try to keep your chin off the sand and harder ground when you compete as a surfer or skate boarder in this rockin’ Rockaways event! The second annual Rockstock and Barrels festival. Boards of both kinds will be on sale at the event, at Beach 90th Street. Call 718-318-4000 for more information. As a side note, wouldn’t it be great if someone started a free “walk-up” surfing program like we see with paddling? Friends of Gantry Neighborhood Parks are a jolly crew of do-green-gooders, or is that green-do-gooders? Get out and help tend to western Queens trees and gardens with the friendly and hard-working crew! Meet at Brasil Coffee House at 49th Avenue and Vernon Blvd. in Long Island City for a little treat – a pick-you-up snack. By 10AM you’ll be pruning trees, cleaning pits, and fertilizing. If you don’t have a green thumb, you can still help a lot – they need photographers, traffic directors, and people to assist more experienced hands. It’s a great chance to learn. For more information, email gantryparkfriend@aol.com. Part of Adventures NYC, enjoy trek through eight miles of forests, streams, ponds, and meadows as you cross the glorious Greenway from Great Kills Park to Willowbrook Park. Wear hiking boots and bring water and a snack. Arrive at the Great Kills Park parking lot where Buffalo Street meet Hylan Boulevard. See the fish, be inspired by the fish! This kid-friendly catch-and-release outing (rod and bait provided) to Wagner Park is enhanced by fish-related art projects. Children’s songwriter Suzi Shelton and her band will perform songs from their new CD, No Ordinary Day. Learn from a naturalist about the birds nesting and resting in the parks that stretch from “river to river” (okay, technically neither this latitude of the Hudson River nor the entire East River is a river…so, estuary to strait?). Binoculars and field guides will be available to help you along. Meet at Wagner Park, and call 212-267-9000 for more information. Try out kayaking with 20-minute introductory paddles (running between 10AM and 5PM) on the Hudson River south of 72nd Street both Saturday and Sunday. Please dress for getting wet and know how to swim. Call the Downtown Boathouse for weather updates at 646-613-0740 and further information at 212-408-0219. Paddle out along Gerritsen Creek with the Urban Park Rangers for a rare trip to “lonely White Island” where birds abound. Gather at the Salt Marsh Nature Center in Marine Park (East 33rd Street and Avenue U). For more information and to register, call 718-421-2021. It’s a world of wildflowers…at least for the past 130-250 million years. 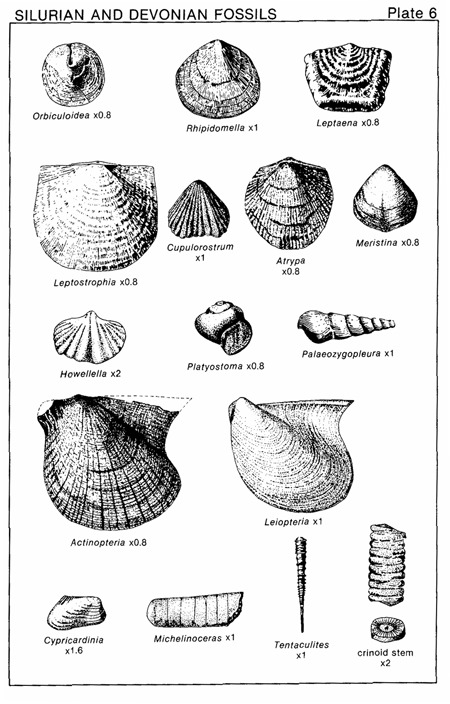 We newcomer species types have the privilege of naming them. Come see and identify the beauties of Van Cortlandt Park. Enter the Enter the park at West 246th Street and Broadway. For more information, call 718-548-0912. Join “passionate plantsman” David Culp at Wave Hill as he shares marvelous new perennial cultivars for your garden. Walk around the gardens with David to observe how new plants and old favorites can be combined artfully. Select plants available in the Wave Hill Shop. Come to 675 West 252nd Street. Call 718-549-3200 for more information. Learn to know mummichogs from mummenschanz and how tough marsh life can be. Swing over to the Inwood Hill Nature Center. Enter the park at West 218th Street and Indian Road. Call 212-304-2365 for more information. Few creatures are as adventurous yet delicate as butterflies – imagine a life in which you emerge from a cocoon entirely transformed and immediately set off on a winged journey through places you’ve never seen. Actually, that sounds like something we all might envy at times. Join this Adventures NYC program to appreciate those fluttering through our largest city park, at Pelham Bay. Gather at the Pelham Bay Park Ranger Station, where Bruckner Boulevard and Wilkinson Avenue meet. For more information, call 718-885-3467. NIGHT WALKING, QUEENS, 8PM until…mwuh hah hah! The bats, owls, raccoons and untold mysteries await you in Forest Park. Bring a flashlight and your courage if you join this Adventures NYC tour. Gather at the Forest Park Visitor Center (Woodhaven Boulevard& Forest Park Drive). Call 718-846-2731 for more information. Don’t hate the birds for dragging you out of bed when your friends are sleeping off Saturday’s debaucheries. The early rise and journey to Staten Island is well worth it! The friendly and knowledgeable Urban Park Rangers will introduce you to your local avian stars, and the techniques you’ll need to fully admire them. Meet at Blue Heron Park Preserve (222 Poillon Avenue between Amboy Road and Hylan Boulevard). Call 718-967-3542 for more information. Try out kayaking with 20-minute introductory paddles (running between 10AM and 5PM) on the Hudson River south of 72nd Street. Please dress for getting wet and know how to swim. Call the Downtown Boathouse for weather updates at 646-613-0740 and further information at 212-408-0219. Catch-and-release fishing in Kissena Park (my childhood park! ), with some equipment provided. Meet behind the Kissena Playschool (Oak Avenue and 164th Street). Catch-and-release fishing in Prospect Park, with poles and bait provided. Meet outside the Audubon Center. Drop a line in Central Park, with equipment provided. Meet at the Dana Discovery Center at 110th Street and Lennox Avenue. For more information, call 212-860-1376. No phone number or more specific instructions are provided. Spookier still. Sounds like a job for 311. One thing Nature Calendar can tell you, however, is that you’ll be in fantastic peregrine falcon country! Learn the basics of canoeing with the Urban Park Rangers at Van Cortlandt Park. It’s a first-come-first-served event, so hurry up! Bring water, sunblock, and a snack to the park entrance at West 246th Street and Broadway. For more information, call 718-548-0912. Stroll with the Central Park Conservancy and rediscover a place both familiar and novel. Do you know where to find a hidden bench that tells time? Or a sculpture that celebrates fresh water? Well, neither do I, and I’m a native. Get in the know by meeting inside the park at Fifth Ave. and East 72nd Street, in front of the Samuel Morse statue. 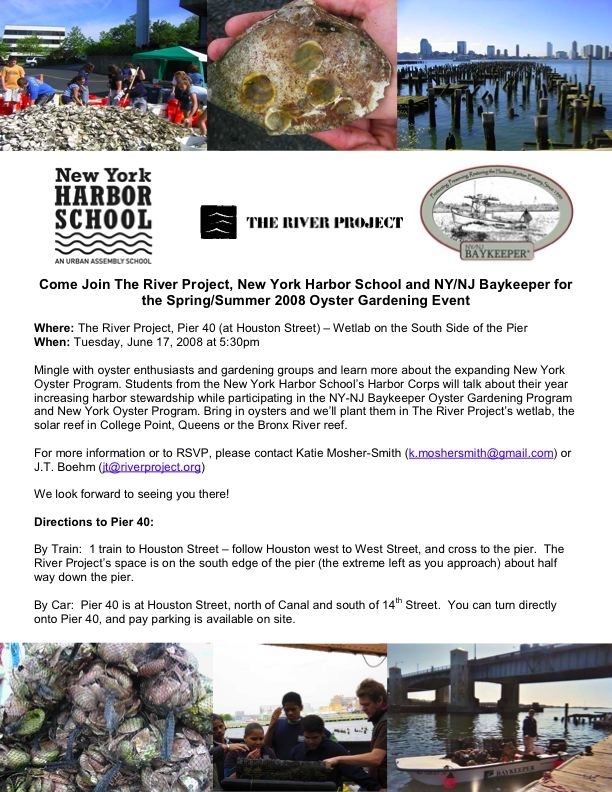 Come celebrate and learn about the New York Oyster Program and the NY-NJ Baykeeper Oyster Gardening Program from Harbor School students and expert ecologists. The event is hosted by oyster-restoring pioneer estuary group The River Project. Come to Pier 40, at the end of Houston Street. The full invitation is above. Learn from Laurel Rimmer at Wave Hill how to make a killer salad with greens and herbs you grow yourself (and are available at the garden shop) – bonus points for those opting for indigenous species! Okay, so it’s more about eating than gardening in the immediate sense. Munch. Go to 675 West 252nd Street. Call 718-549-3200 for more information. Editor’s note: Please accept my apologies that some editing and link work must be redone due to a wifi interruption and WordPress/Word glitch. It will be done tonight, but for now you can see the events and most of the needed information. ALERT! Break out the “sacrificial” champagne. 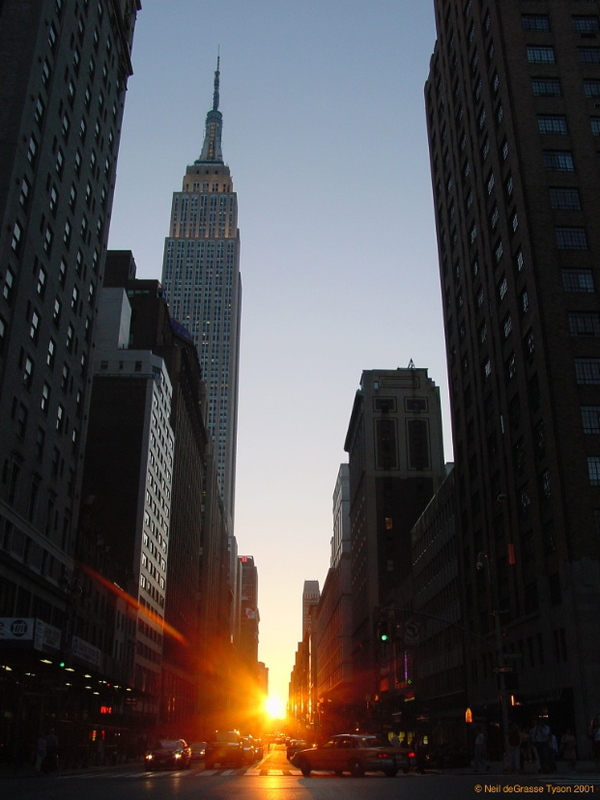 It’s time for Manhattanhenge! Come see the sun set through the grid of Manhattan as in this photo by astrophysicist and Hayden Planetarium director Neil deGrasse Tyson. Both Thursday and Friday nights are good for this little wonder. Major cross streets like 42nd and 57th are especially good for viewing if you are on the East Side, in Queens or Brooklyn, or on the East River. And now, looking to the week ahead, we have lots of other FREE stuff to do in nature in the city! Seining and cycling, paddling and gardening, birding and stargazing! What can I say? It’s Critical Mass! Celebrate bicycles for their promise of a cleaner and safer city, and remind drivers through a great, peaceful, and friendly presence that the roads are public and to be shared. Gather up at 7PM in Union Square. The ride concludes at about 10PM and the route is not determined. Come see Mars, Saturn, and the Summer Triangle with dedicated members of the Amateur Astronomers Association from dusk until 10PM at Carl Schurz Park esplanade in Manhattan (where East 86th Street meets the water). If you have a telescope, bring it! Contact Rik Davis for more information at 646-873-0252. Be an assuring presence on two wheels for fellow New Yorkers making their way home with SafeWalk, a program of RightRides for Women’s Safety. The program provides the protection of companionship to all, because simply not walking alone is a strong defense from muggings, sexual assault, and hate crimes. All you and other volunteer team members need to do is bike to the location of a caller and walk that person to a destination within a 10-15 block radius. Right now coverage includes the hours of 11PM-2AM and the neighborhoods of Williamsburg, Greenpoint, Bedford-Stuyvesant, Bushwick, Fort Greene, Clinton Hill, and downtown Brooklyn. Roll out of bed and roll down the road (I always recommend biking) to the Salt Marsh Nature Center in Marine Park, Brooklyn by 8AM to see a wide variety of upland and estuary birds. The Urban Park Rangers will teach you the basics…starting with the fact that no matter how good you get, birding will always involve an amount of early rising! But the rewards of open trails, fascinating creatures, and time to gather your thoughts is worth the initial bleariness. The center is at East 33rd Street and Avenue U. Call 718-421-2021 for more information. The increasingly interconnected greenways of New York City include some gorgeous vistas, like the western Long Island Sound. Get to know the Little Neck Bay section (and Fort Totten and Little Bay Park) and while you’re at it, join Transportation Alternatives in lobbying for full bike access across the East River’s bridges linking Queens to the Bronx! Meet up is at 10AM, at the Cryders Lane entrance of Little Bay Park. You’re “not the only one, staring at the sun”…At least you won’t be on Saturday morning from 10AM until noon in Central Park, at the model sailboat-filled Conservatory Water (enter at 5th Avenue and 72nd Street). The Amateur Astronomers Association would like you to safely (approved filters) look at the surface of the sun, and learn about this average yet precious star. And while you’re there, check out the red-tailed hawk, Pale Male! Teach your child how to bike and take in old growth forests in a single outing by heading up to the Inwood Hill Park Nature Center at 10AM. The event lasts until 1PM. You’ll need to pre-register for this effective no-pedal instruction method (see this video to learn more) by calling 311 or visiting this page. We expect our kids to pick up languages fast, and to know how to make our newest gadgets work. Imagine what they could do as the family’s naturalists! Bring `em out to Highbridge Park where kids 4-12 years old can learn about seeds (how they spread, why they are so important to plants and animals) on Saturday afternoon, from 2PM until 330PM. You must accompany your child to the Tower Terrace (enter the park at East 172 St. or East 174 St. and walk to the water) and register for the class with Linda Huntington by calling her at 212-795-1388 or emailing linda.huntington@parks.nyc.gov. Nature loves the edges of things. Life is most abundant at the shorelines (both above and under water) and the forest’s edge. The same goes for night and day – the action picks up at dusk and dawn, with crepuscular creatures busy at work. Enjoy the show as a hiker through Central Park’s North Woods. Bring a flashlight and meet at Belvedere Castle (midway through the park along 79th Street) at 730PM. Despite its pivotal role in Revolutionary War history, Conference House Park has fallen to insidious invaders! The mugwort isn’t coming, it’s already set in roots! Ditto for other invasive plants and trees that threaten indigenous trees and shrubs. In the process you’ll learn about the wildflowers now in bloom. Come down for an afternoon of purposeful exercise at 2PM – water, gloves, and tools provided. Volunteers will gather at the visitors’ center at the intersection of Hylan Boulevard and Satterlee Street. To register and for directions by car, bike, train, and bus, contact Cheri Brunault at 718-390-8021 or by emailing cheri.brunault@parks.nyc.gov. Learn your trees with the experts at Van Cortlandt Park (246th Street and Broadway). Gather at 11AM at the western entrance, wear comfortable shoes, and enjoy an unhurried time in the greenery. Call 718-548-0912 for details. Row with Rocking the Boat! Explore the vibrant Bronx River in a beautifully handcrafted rowboat with Rocking the Boat. Community rowing hours are 1PM-5PM at the Jose E Serrano Riverside Campus for Arts and The Environment. Prospect Park is rich in bird diversity, and the Brooklyn Bird Club want to take you right up to the “front doors” of their often-hidden nests! Pay a happy visit to our avian neighbors, many of whom now have young in their nests, by meeting up with the group at 8AM at the Audubon Center (Lincoln Road and Ocean Avenue entrance) for the two-hour walk. Call 718-287-3400 for more information.
. Registration is rolling until filled. Meet up at the 106th and 5th Ave. entrance into Central Park at 11AM for an exploration of local butterflies and moths. Call 212-860-1376 for more information. Fort Tryon is worth the visit for its amazing heather garden alone. But poke around for other delightful blooms in the Alpine Garden and other areas with expert horticulturalists. Not to mention the Hudson River views from on high! Meet at 1PM for the 90-minute walk and talk, starting at the Margaret Corbin Circle, Fort Tryon Park (Cabrini Boulevard and Fort Washington Avenue). Each Saturday and Sunday you’re welcome to stroll along for an hour to see the wildlife of Prospect Park. Meets at 3PM at the Audubon Center. Learn the basics of camping in Manhattan, of all places! Come to the Inwood Hill Nature Center at 2PM by entering the Inwood Hill Park at West 218th Street and Indian Road. For more information, call 212-304-2365.